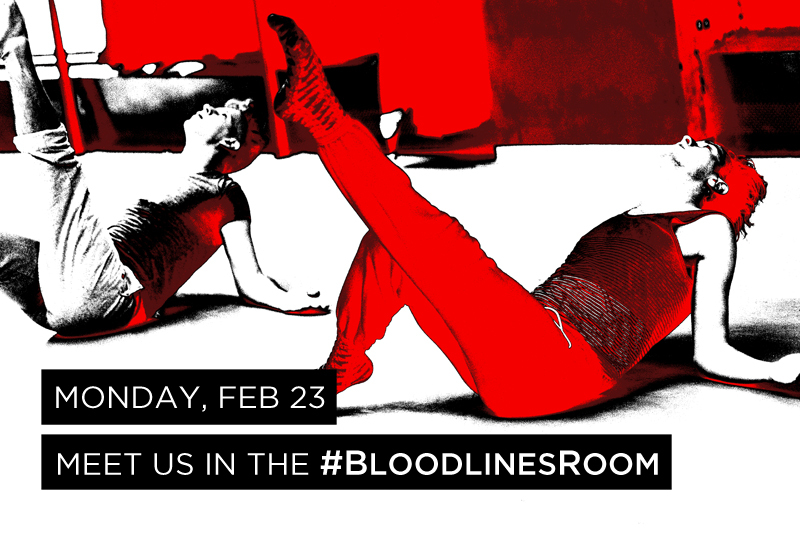 On Monday, February 23, we will launch the #BloodlinesRoom, a new way to connect online to the Company, the rehearsal process, and our new project, Bloodlines. Use the hashtag to meet us in the Room! … or just follow us along for the ride on Facebook, Twitter, Instagram, and our blog. View all #BloodlinesRoom posts (yes, that includes both YOUR posts and OUR posts) live on Input/Output, our social media platform quilting the Petronio universe together.